How close is the accommodation to the ZOO? 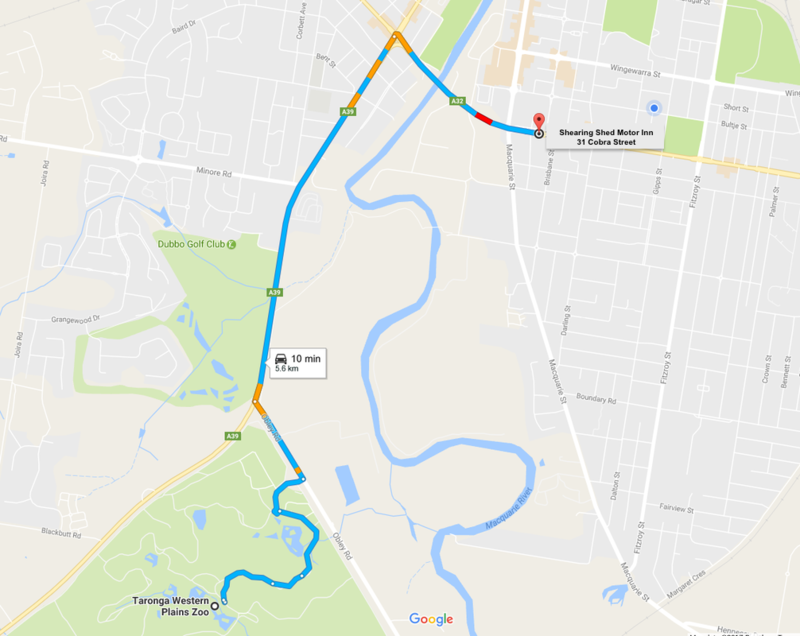 The Shearing Shed Motor Inn is just 10 minutes (5.6km) by car to the Taronga Western Plains Zoo. If you want to ride your bikes to the Zoo, it is an easy 15 minute ride. Can we ride our bicycles to the zoo? ​Cycling and walking trail which forms two river-based loops, a 6km urban loop from Serisier Bridge to the Tamworth Street footbridge and return, and a longer 13km loop from the Tamworth Street footbridge past the Taronga Western Plains Zoo to Dundullimal Reserve, crossing the river again there to return to Tamworth Street via Macquarie Street. Provides great access to swimming and fishing locations. all of which are all within easy walking distance from The Shearing Shed. Whilst ‘offical’ check in time is 2pm, we are happy for guest to check in as soon as the room is available. We will send you a text message to let you know your room is ready and waiting for you. Do you pick up and drop off to the airport? 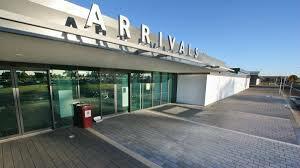 ​We are able to offer pick up and drop off to the Dubbo Regional Airport in most circumstances. Prior booking is essential. We are not able to provide child car seats, so if travelling with children under the age of 7 call Dubbo Taxis on 131 008 to arrange appropriate transport. Yes. We have 23 rooms and 23 off site car parks so each room has access to one off street car park. If you are travelling with a trailer or a larger vehicle, contact us to make arrangements. We do have several longer car parks available, however these are not long enough for caravans. Do you have Office Services? ​We are more than happy to answer any questions.